The new speeds is achieved in part by processing some tasks at GPU thereby leveraging the CPU load. For instance decoding JPEG images is by using the computing muscle of a PC’s graphics processor, so it doesn’t tax the main processor. Microsoft also says that you can comfortably do multi-tab browsing to hundreds of tabs without compromising the overall feel of the browser’s performance. Developers have also been given advanced tools to make it easier to diagnose and optimize web apps used within the Internet Explorer. The WebGL has been incorporated for GPU-accelerated 2D and 3D content in the browser, an improved file picker for faster access to files in a complex Web project, and an updated F12 tool that now identifies what operations were performed on allocated data between memory snapshots. For video experience, the users can now customize how captions appear in the browser by being enabled to override the default styles provided by the video source. “This customization further advances IE11 as the best browser for professional-quality online video without plugins,” said Microsoft. 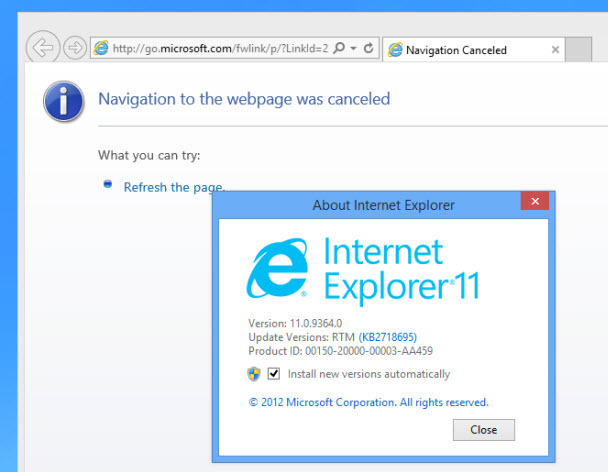 IE11 is expected to be fully available in October given the timeline of availability of Windows 8.1.With promises of improved performance and speed, IE11 might just be what Microsoft needs to take back its lost market share in Internet browsers market. Samsung Launches Super Amoled Galaxy Tab S.